When you close your eyes and imagine paradise, what do you see? 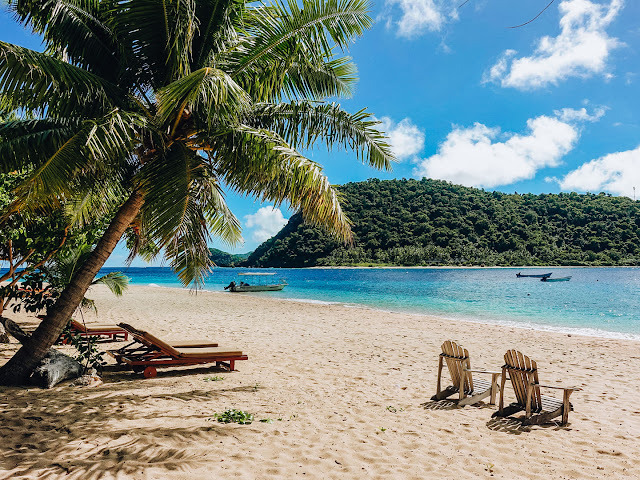 If it's glittering turquoise waters hugging a white sandy beach, fringed with swaying palm trees, then look no further than Paradise Cove Resort in the Yasawa Islands, Fiji. 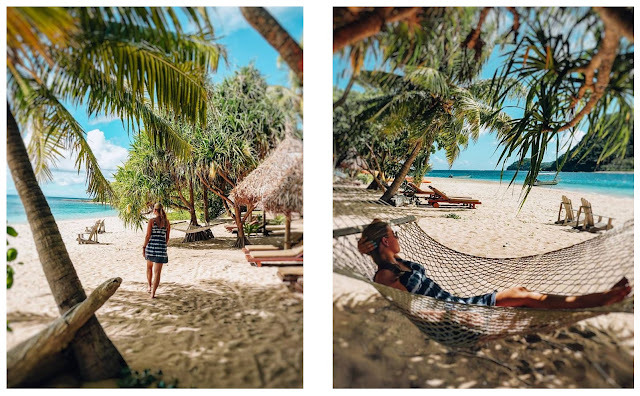 Set on the stunning private island of Naukacuvu, the resort entirely lives up to its name. In every direction, you are surrounded by post-card perfect views and from the moment you arrive, you are welcomed and treated like family. 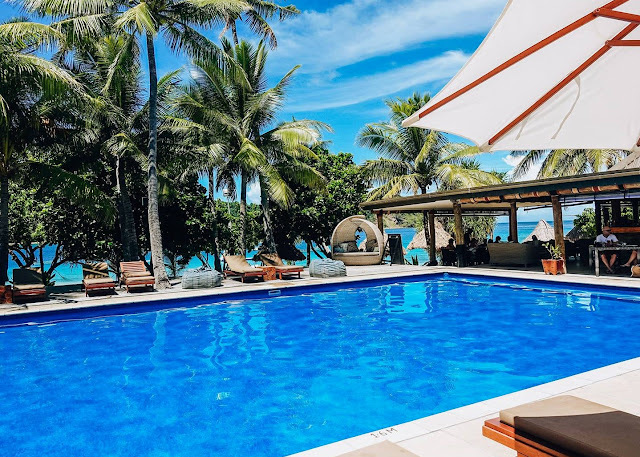 They have so much to offer including an amazing coral reef steps away, three pools, an Adults Only sanctuary, a heavenly spa, delicious food and the friendliest staff you will ever meet, all making Paradise Cove Resort the ultimate place to stay for a perfect Fiji getaway. 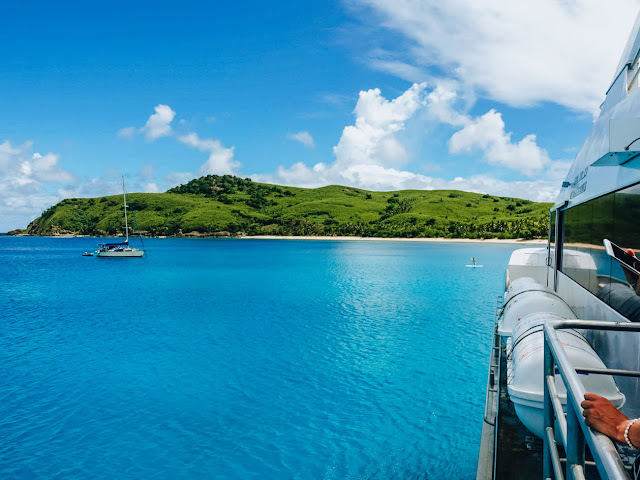 The most common way to get there is the Yasawa Flyer, a ferry that leaves Port Denarau daily at 8:45 am. It takes about 2 hours and 45 minutes and stops at different islands as it makes its way up the Yasawa Islands chain. 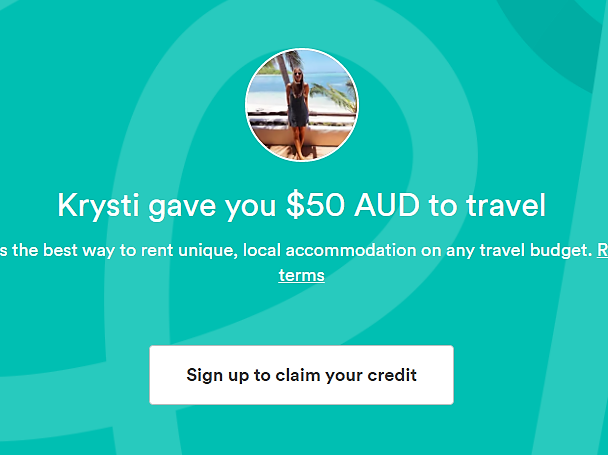 The friendly booking team at Paradise Cove Resort pre-booked the returned transfers for my husband and I. 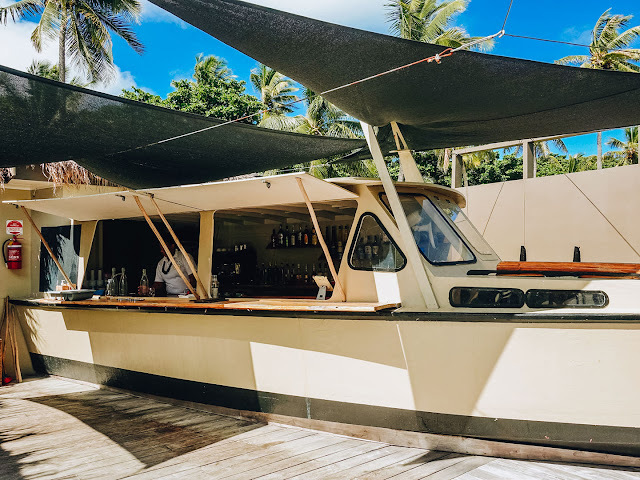 Other options include a seaplane or helicopter transfer from Nadi Airport which are a lot faster but a bit more expensive. After a pleasant ferry ride, upon arriving at our island we were picked up via speed boat and cruised through the bluest of waters towards the beachfront. 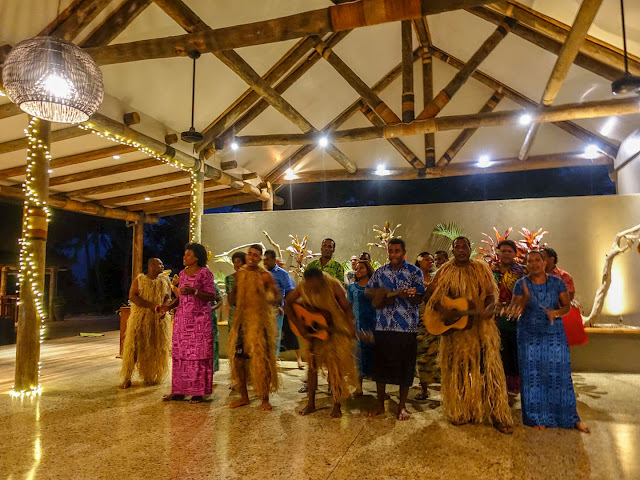 We were greeted with a beautiful Fijian song which was the warmest of welcomes and a memorable start to our time there. In an outdoor seating area close to the main pool we were presented with refreshing welcome drinks. The check-in process was quick and easy and we were briefed on resort information and facilities. We were then shown to our room which was in the Adults Only area (bonus points!) 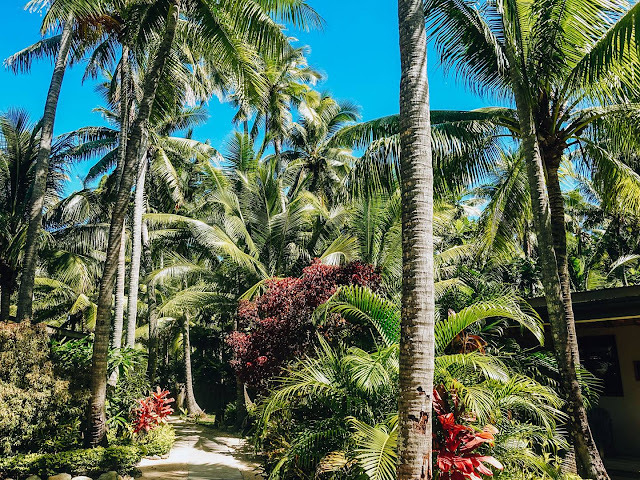 via lush, tropical pathways. As soon as we laid eyes on our new home for the next four nights, our breath was taken away. 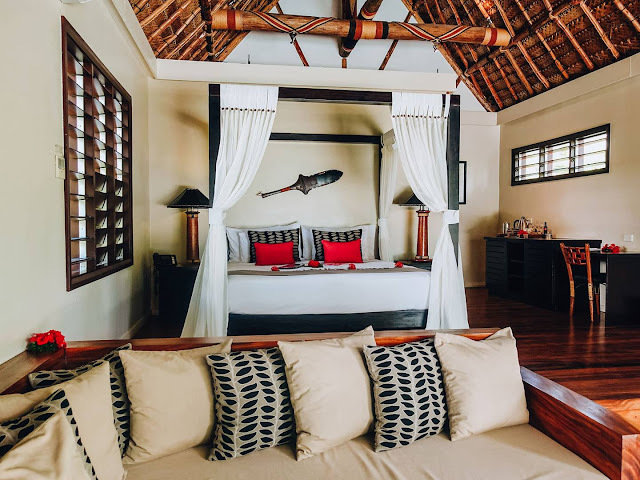 We had a Beachfront Paradise Suite - a one-bedroom villa with stunning water views, a plunge-pool, beach access with private loungers and umbrella and a swinging day-bed. Simply put, it was an absolute dream! Inside, our room was spacious and uniquely designed, with a traditional high wooden ceiling. In the lounge area, we had a large couch and coffee table with a 50-inch TV opposite (not that we used it!). 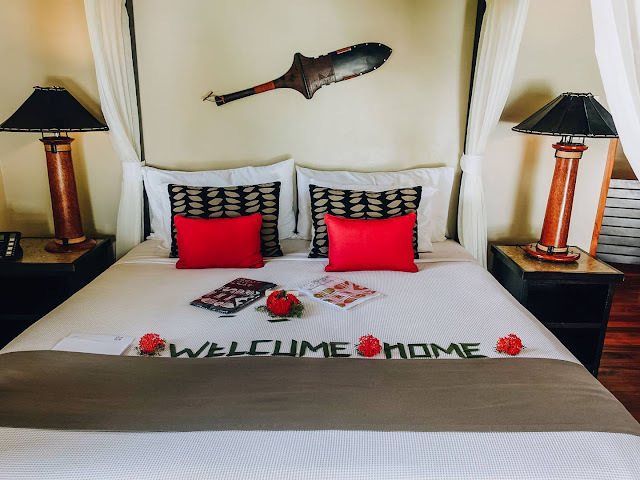 On the upper landing, the large four-poster king bed was very inviting with 'Welcome Home' spelt out and some lovely resort gifts waiting for us. (The bed was importantly, very comfortable). To the right, we had a desk and chair and mini-bar area with glassware and tea and coffee making facilities. 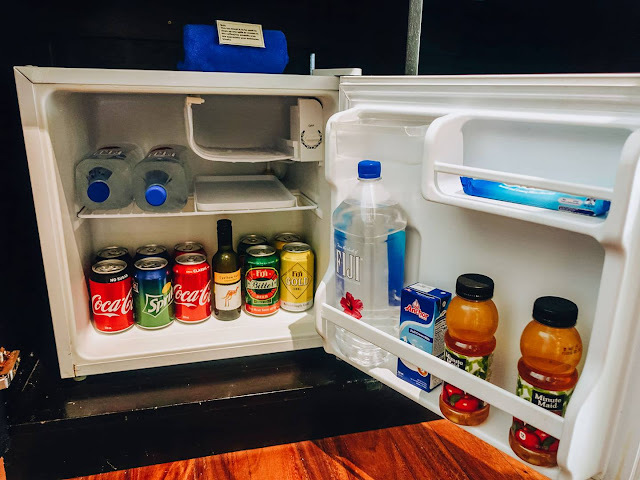 Our mini refrigerator was stocked with a range of drinks and goodies, all of which is complimentary on arrival. Around the corner, we had luggage storage and a wardrobe area fitted with soft robes, slippers, a safe, laundry basket, iron and board. 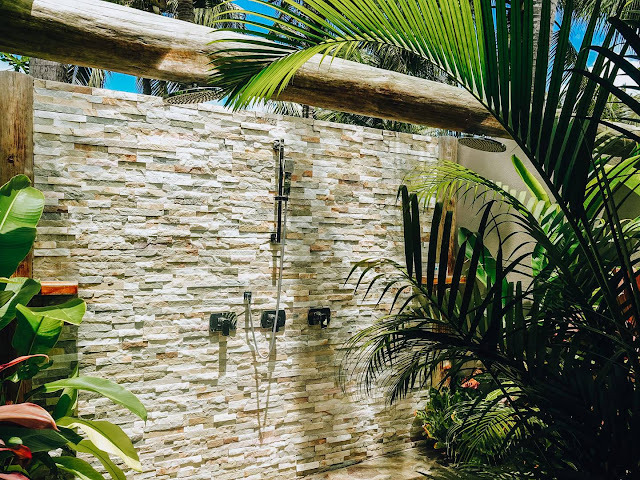 Through to the gorgeous bathroom, there were two open-air rainfall showers surrounded by tropical greenery. 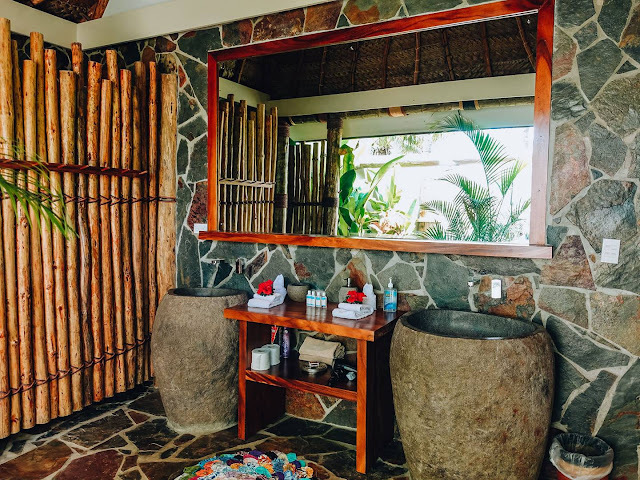 The double vanity had two round stone basins, deluxe Pure Fiji products, a hairdryer and every amenity you could wish for. 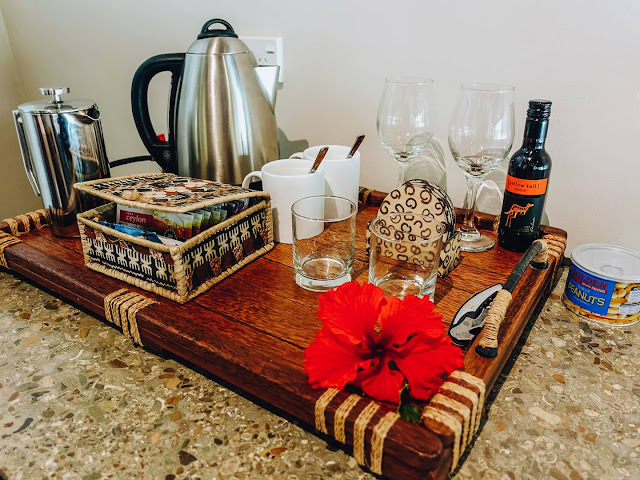 Other features of the room included complimentary Wifi (albeit sometimes patchy), air conditioning, a ceiling fan, telephone and daily housekeeping. I love love loved our comfortable space with so many choices of places to relax and simply enjoy. There are other room options available at Paradise Cove Resort to suit your needs and budget. 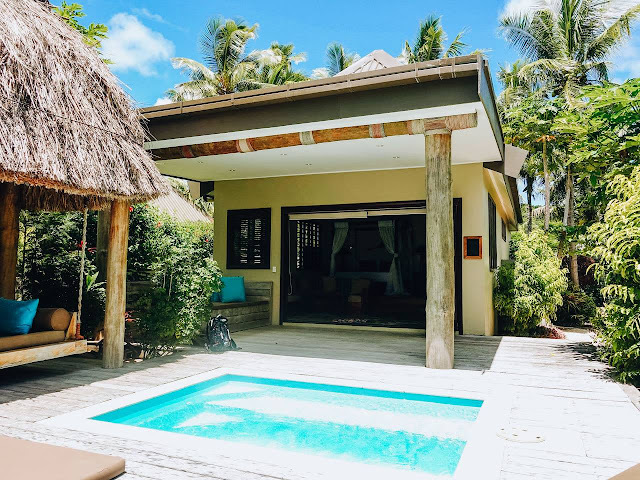 From modest Garden Bungalows, perfect for a couple and child, to Cove Villas in the Adults Only area, great for groups of friends and couples, to two-bedroom villas and even an entire beach house, ideal for larger families. 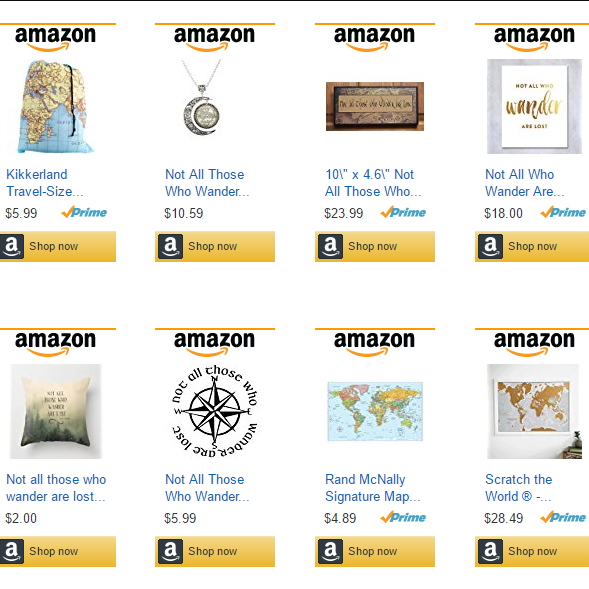 You can check the range along with prices here. At the heart of the resort is the main family-friendly pool, Black Rock Restaurant and the airy beachfront Sandbar. There is no shortage of cosy seating areas, loungers and day-beds to relax on and enjoy the sparkling water views. 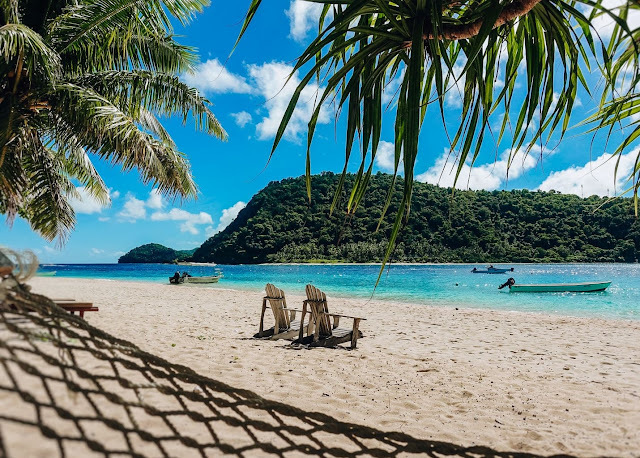 Step on to the beach to find even more, including swinging hammocks. To the left of the main pool, you can find the 5-star PADI Dive Shop, where qualified instructors can help you fulfil every diving dream. 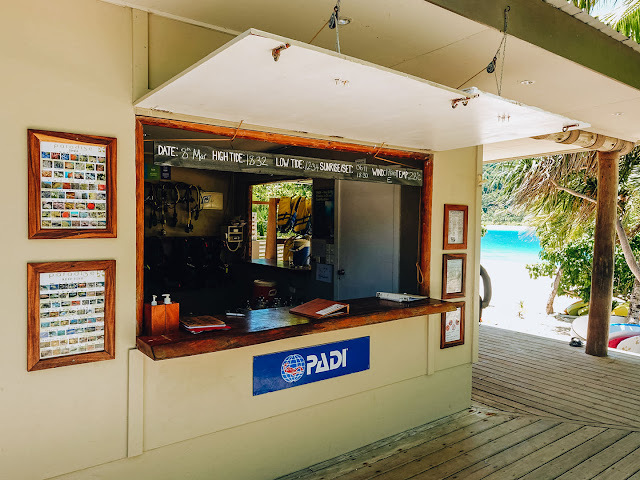 Whether you want to get qualified yourself or join an excursion to one of the 35 different dive sites in the area, there's a great selection for both experienced and beginner divers. There are also game fishing, snorkelling and other daily tours to join in on. 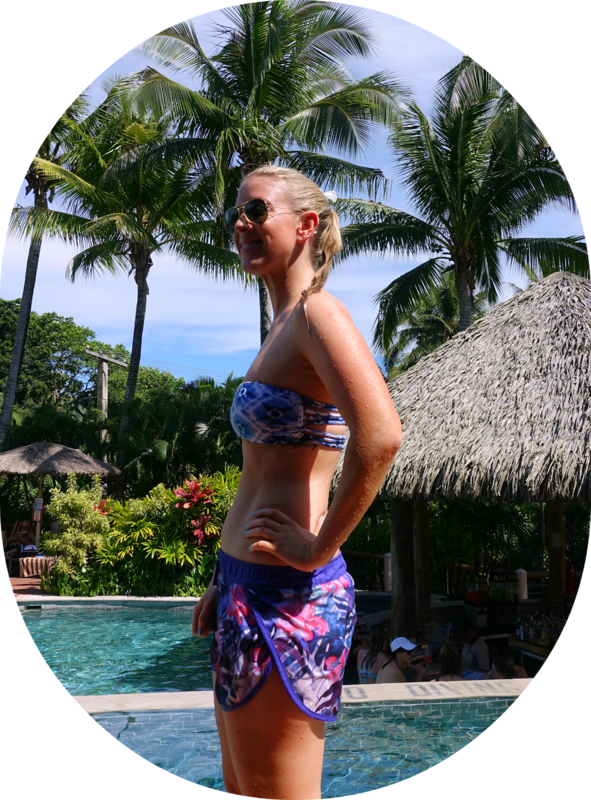 My husband and I highly enjoyed the snorkelling and we loved that we could step out from our room straight into the beautiful coral reef. 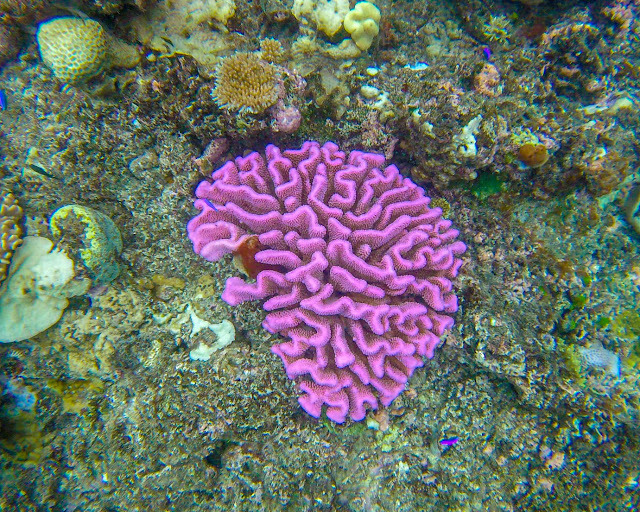 We saw so many different types of sea life and colourful coral, it's the best snorkelling I've ever experienced. We also joined a guided snorkelling tour where we were taken to another amazing spot nearby. There are also fun water sport activities to partake in including kayaking and paddleboarding. 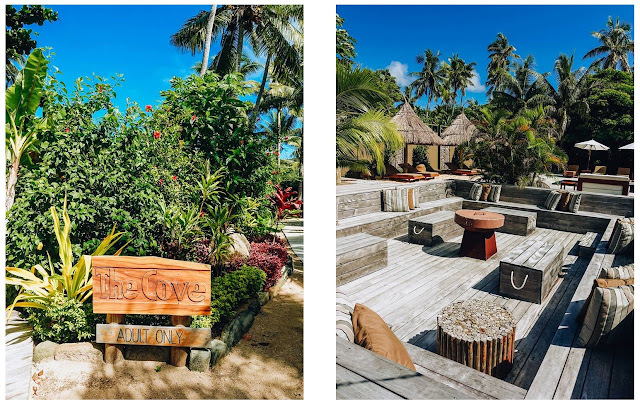 The Cove is an area designed as an Adults Only sanctuary and chill zone. 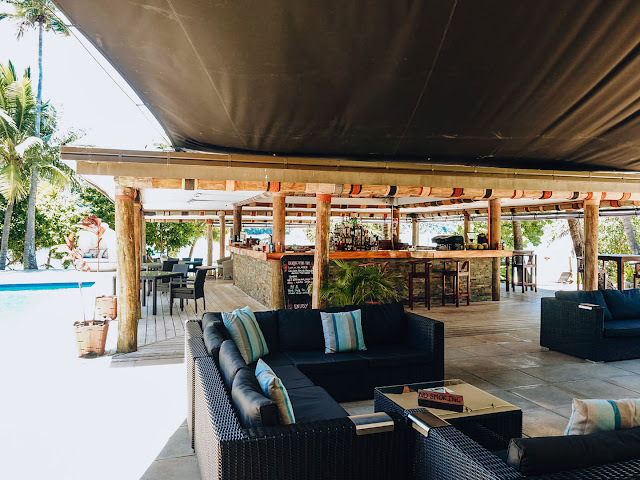 Onsite there are two swimming pools, a Tapas Restaurant, a very cool Boat Bar and many lounge areas to relax and enjoy. 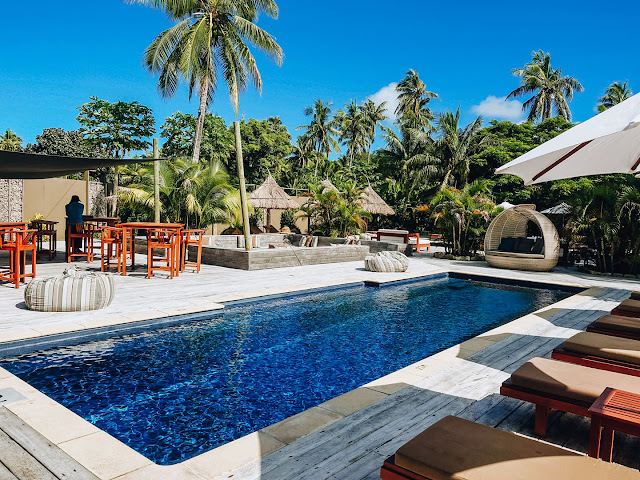 It's the perfect retreat for parents while their young ones are being taken care of at the Kids Club, for couples seeking peace and quiet and it's also an ideal venue for small intimate gatherings and celebrations. Next to Black Rock Restaurant you can find a board with scheduled activities that change daily. 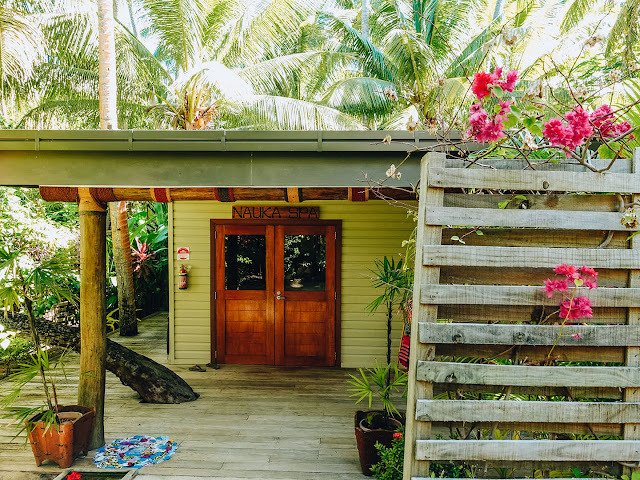 These can include hikes, yoga classes, snorkelling trips, cooking demonstrations, local school and village visits, fun competitions and Kava ceremonies. 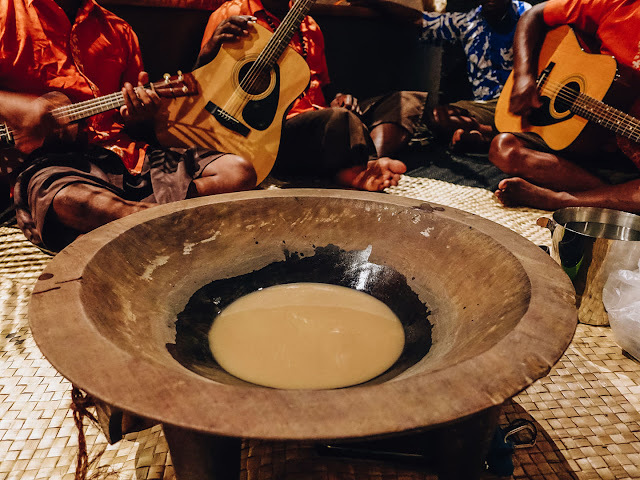 A string band and traditional Kava ceremony take place several nights a week. Kava is a ground root mixed with water that has medicinal properties (it makes you feel quite relaxed). You get taught how to accept it in the proper way and it's a great cultural experience to partake in. 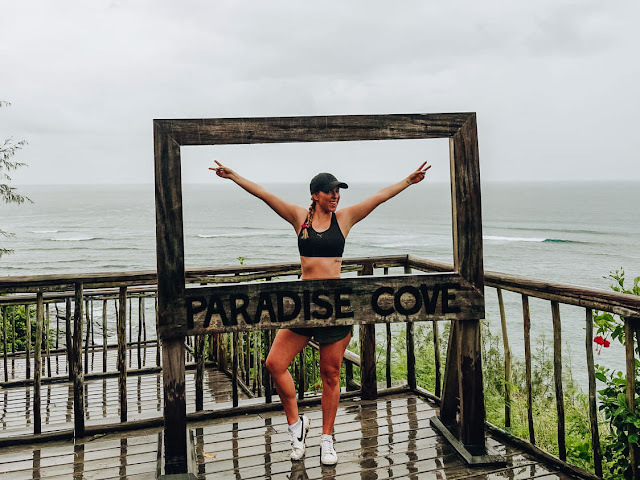 Paradise Cove Resort caters perfectly to those with children, offering a Kids Club and Teen Tent free of charge and expertly supervised, with tonnes of entertaining activities and games. 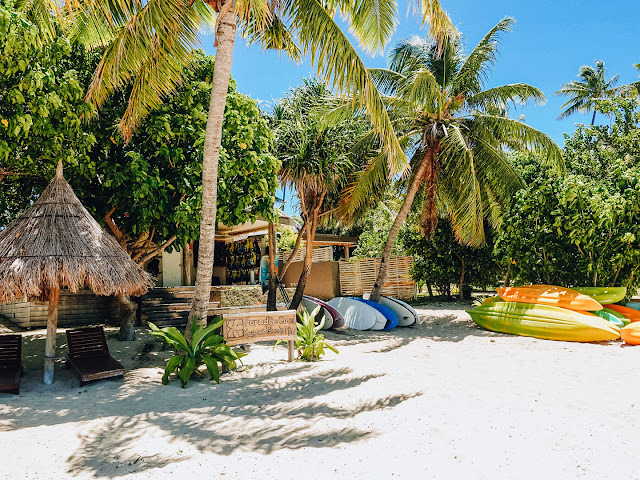 For those that like to mix up all of that relaxing with exercise, there is a well-equipped and air-conditioned Gym with a yoga deck facing the beach. 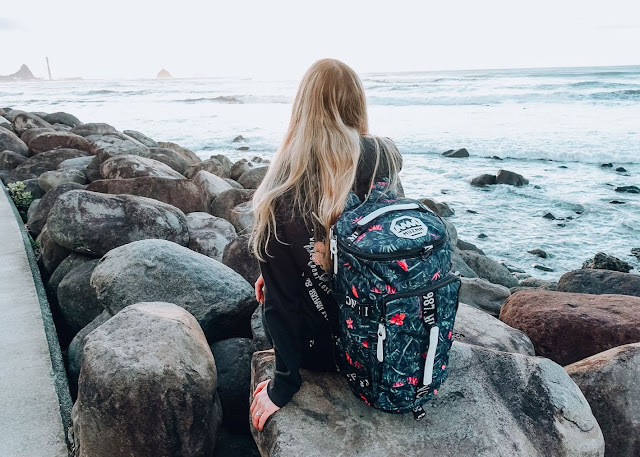 There are also hiking trails on the island including one leading up to Sunset Point, which - you guessed it - is perfect for sunset. Don't do what I did and wait for the next day to go up for sunset... I got caught out in the rain, but it was still worth it for the views! There are even fitness points along the way where you can work out on the way up. 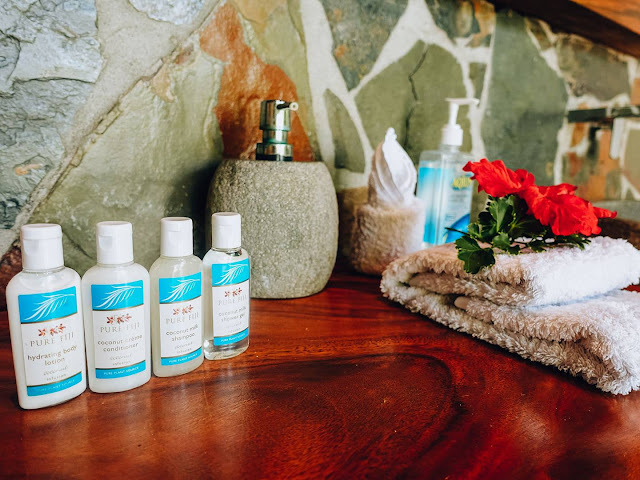 Named after the island, Nauka Spa offers a range of pampering spa treatments. 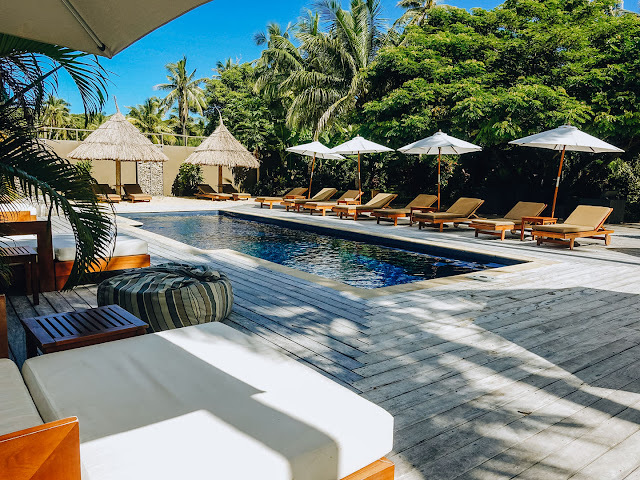 The highly-trained therapists have a strong focus on creating a customisable spa experience, inspired by natural rhythms and the island around you. 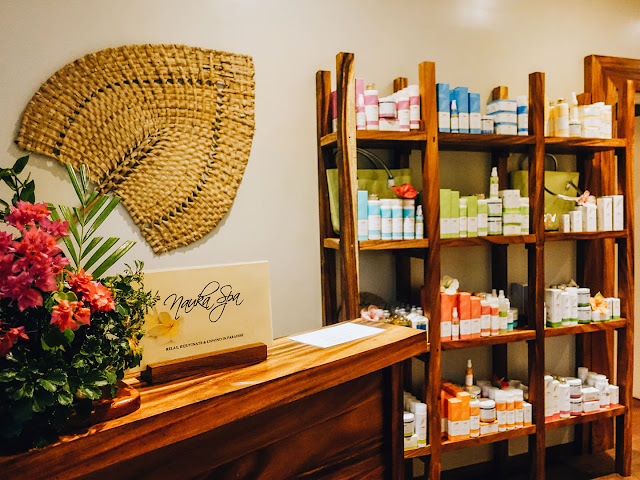 My husband and I loved our couples massage, with him opting for the firmer Paradiso Massage and myself for the relaxing Lomilomi Massage. I felt like a brand new person after my treatment, it was the best massage I've had to date and very highly recommend it. Can you just imagine how incredible an island ceremony would be here? Paradise Cove Resort is a popular destination to get married in and offer romantic wedding and vowel-renewal packages here. 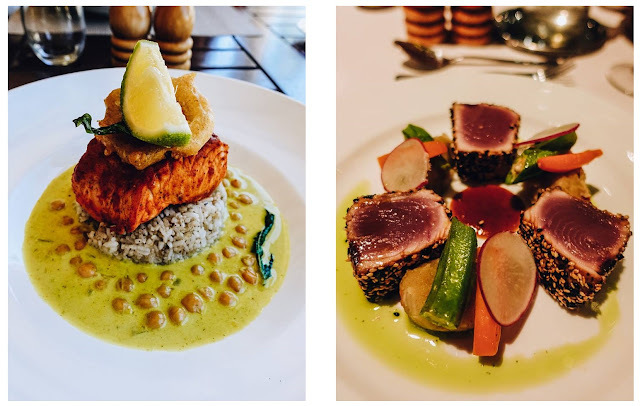 Led by an executive chef, Black Rock Restaurant has a strong focus on their food which shines through. 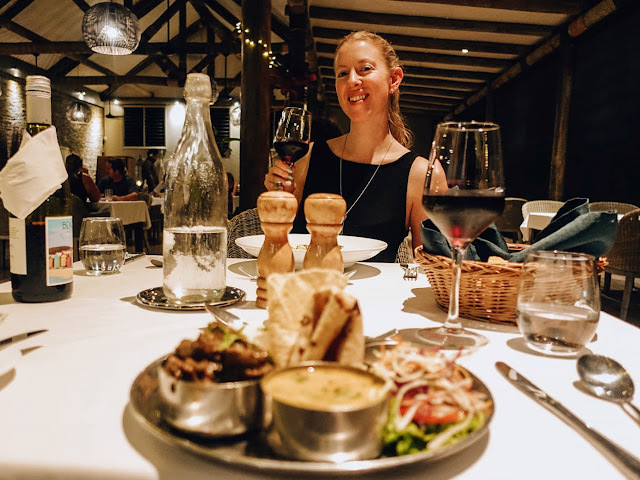 It's another top highlight of the resort and had us looking forward to every single meal. 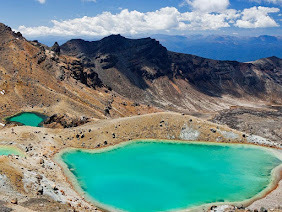 A meal plan is compulsory for all guests and costs $139 NZD ($100 USD) per adult for three meals a day. We didn't know what to expect but after our very first dish and every one thereafter, we were incredibly impressed. For breakfast, there is an a la carte menu and a continental spread including freshly baked pastries, bread, cereals, fruit and juices. 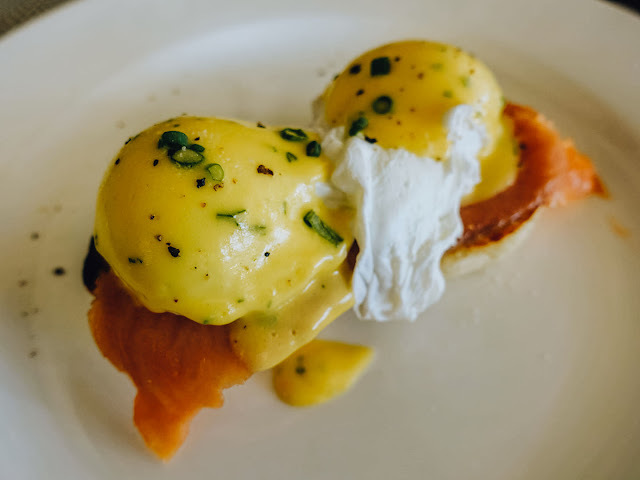 On the menu, there's a large range to choose from including pancakes, eggs benedict and full hearty breakfasts. For lunch, there is a daily specials board and a la carte menu choices with dessert. They varied slightly every day and were substantial enough to keep you full until dinner. We especially loved the fresh fish and curry specials of the day. Every evening was an outstanding dining experience. For dinner, you choose an entree, main and dessert from a range of options, with their menu changing every two days. 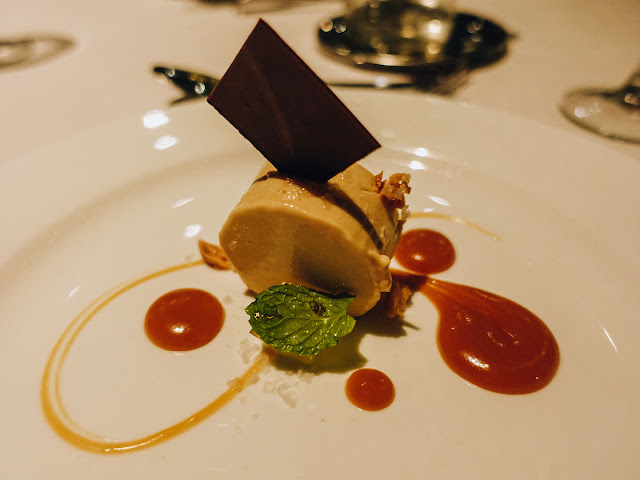 You are presented with freshly baked bread rolls, an amuse bouche and a palette-cleansing sorbet in between courses, making it a deluxe five-course meal. Every dish was always beautifully presented and tasted even better than it looked. Everything was fresh, full of flavour and cooked to perfection. They also cater for vegetarians, gluten-free and all types of food allergies. Having a compulsory meal plan ended up being very convenient. We were 100% satisfied with the variety and the value for the high-quality you receive. You can also purchase snacks, light meals, fresh coconuts, juices and milkshakes from Sandbar throughout the day. 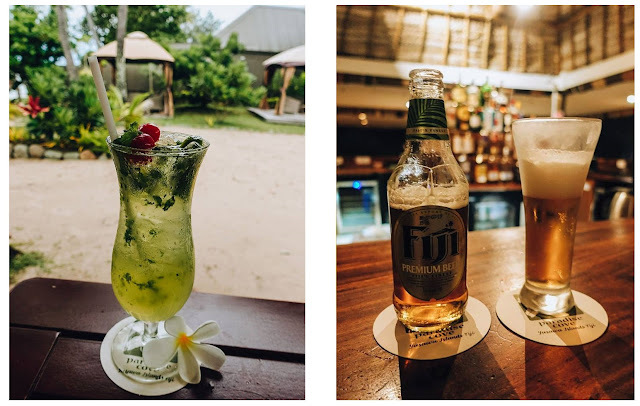 A popular daily Happy Hour also takes place there from 4-5 PM, where you can indulge in local beers, spirits and cocktail specials. A true credit to Paradise Cove Resort are the wonderful team members that make up the staff. 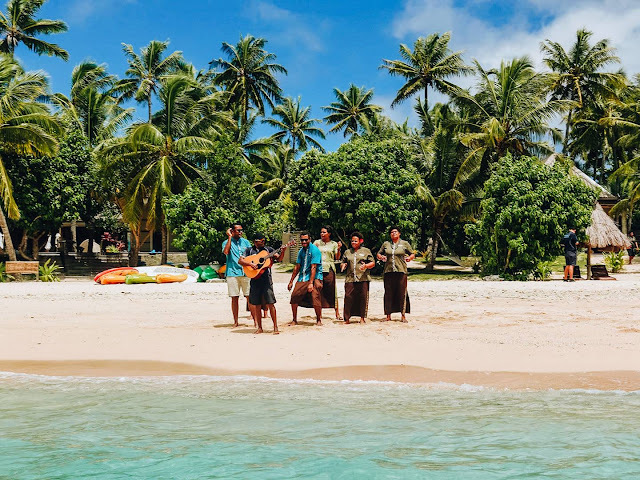 All throughout the resort, you are greeted with a genuine smile and a hearty "Bula!" 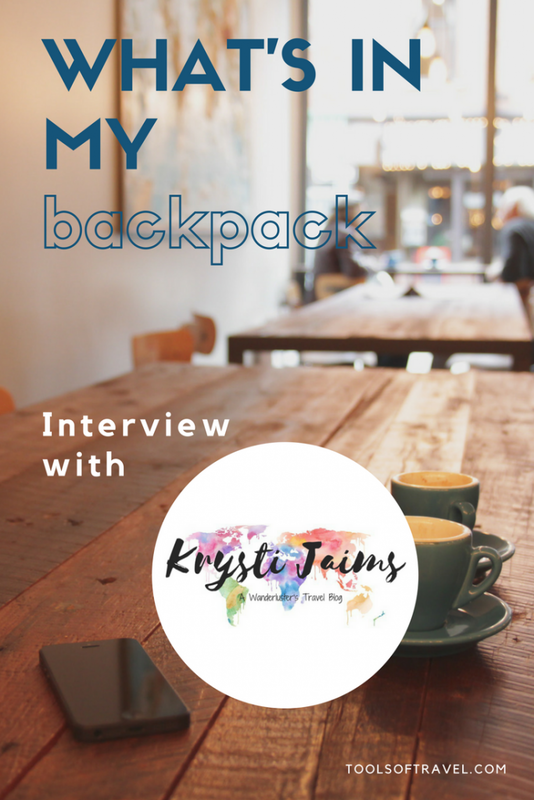 They are part of a beautiful community who make you feel welcomed like family. Every member of staff was delightful but special mentions go to Alfie for showing me around and taking care of any request, Meli, our wonderful host who was always keen for a chat, and Amini the bartender, who always remembered our name and was amused whenever I ordered a beer. 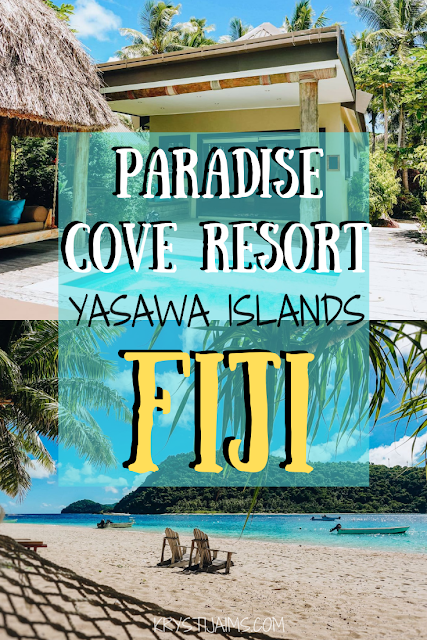 Mention my name Krysti Jaims on booking Paradise Cove Resort Fiji to receive a complimentary 30-minute spa massage. Paradise Cove Resort is an extraordinary place, full of natural beauty and spirit. 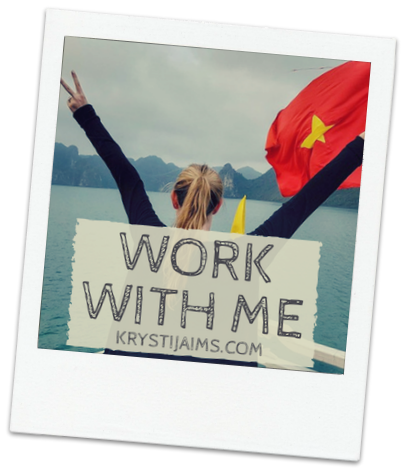 It's the most incredible resort my husband and I have ever had the pleasure of staying at. They have so much to offer to ensure all kinds of guests have the most perfect stay. It is the ideal retreat for couples seeking a romantic getaway (stunning honeymoon destination! ), parents with young ones after a fun in the sun Fiji holiday, to groups of friends celebrating a special occasion. 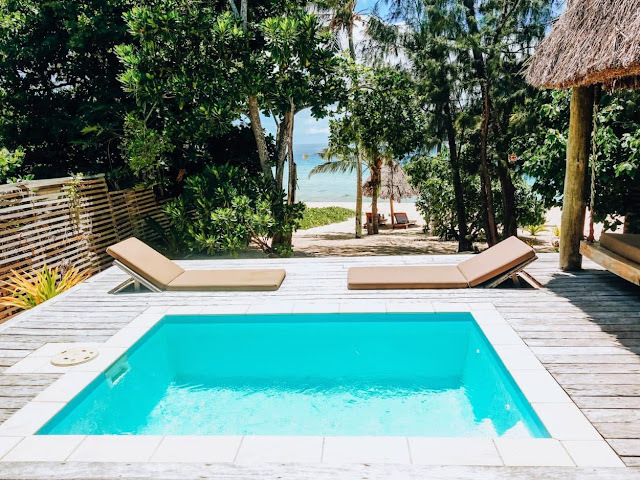 My husband and I had the most relaxing time and we loved our beachfront villa. 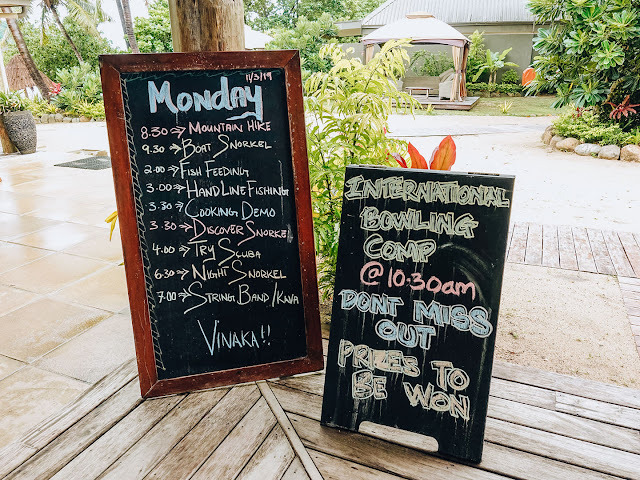 We were super impressed with the wide range of facilities and daily activities on offer and were blown away by the charm and exceptional hospitality we received. 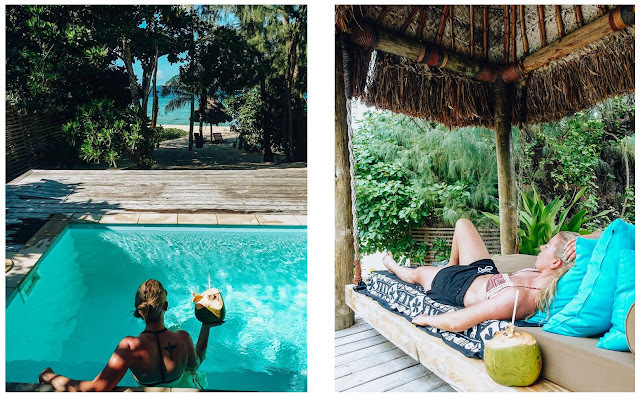 Our time in this slice of paradise was a memorable experience that will be treasured forever. Next time we will definitely stay longer! 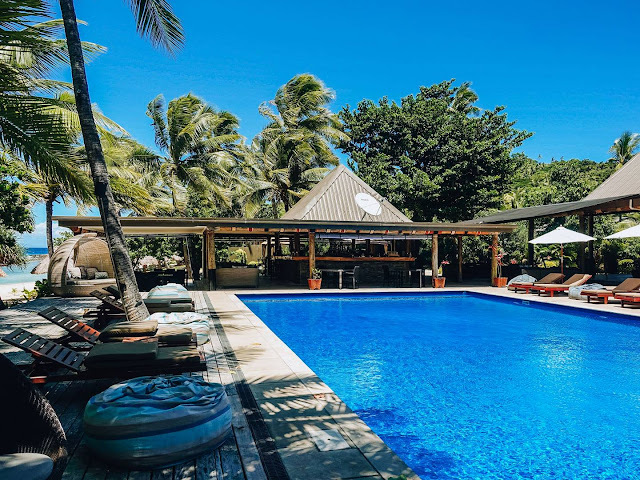 I highly recommend it to everyone seeking a special and unforgettable Fiji getaway. 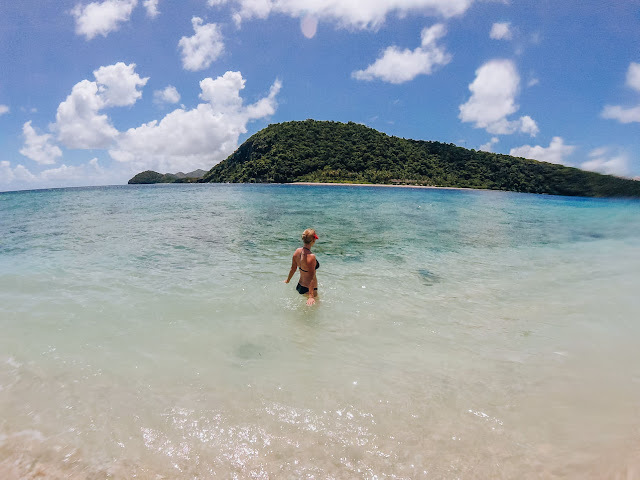 Are the Yasawa Islands now on your bucket list? I can't wait to go back!